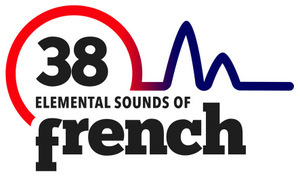 If you have trouble with French pronunciation and/or listening comprehension but can’t take a class, hire a tutor, or go to France, Idahosa Ness’s The 38 Elemental Sounds of French Master Class is just what you need. as well as IPA drills and multimedia listening and pronunciation exercises. Plus, you can add the other three pronunciation Master Classes – Spanish, Portuguese, and German – for a considerable discount.